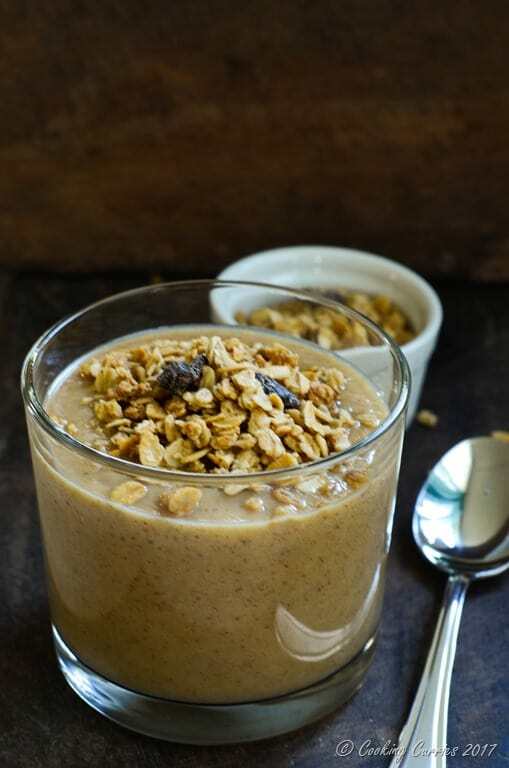 A simple, easy, tasty and filling smoothie with oatmeal for some substance and dates for sweetness. 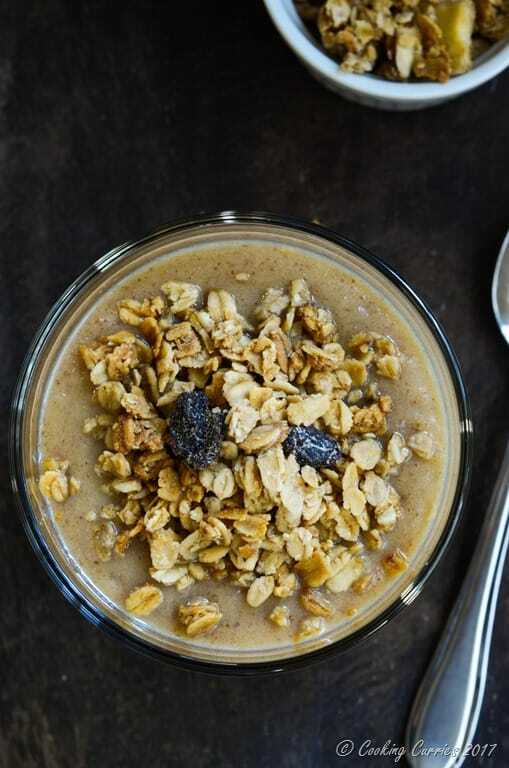 This Oatmeal Date Smoothie is packed with nutrition that will keep you feeling good and full! As much as I want to start my day right by eating a good filling breakfast, I am just so not a morning person. I have now started to get me awake enough to make a nice hot breakfast for the little guy but even though I make something for him, I find it really hard for me to eat something elaborate in the morning. Brunch is my favorite meal for that matter. But since I do want to eat well, I make smoothies for myself and just chug them down. I love smoothies, so that helps too. Sometimes I make smoothies for the kiddo and me and I make an omelet or boil an egg for him just to get him into the habit of eating something for breakfast and not like me to just drink up some smoothie. Don’t get me wrong, these smoothies I make of myself are very filling and well balanced and is a good breakfast. Just a lazier breakfast, that’s all. At least as far as I am concerned. This post contains affiliate links that pays me a commission if you click and buy through them, at no extra cost to you. It just helps keep the blog going. Thank you! Put all the ingredients in a blender and blend to smooth. 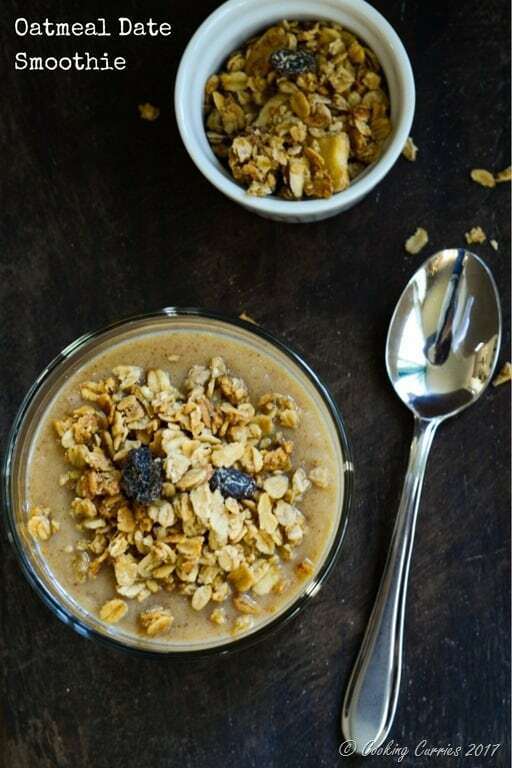 Optionally, top with some granola and enjoy! What a great naturally sweet morning smoothie! I can’t wait to try this smoothie! I love dates, and I think I already have all the ingredients. Yum, this sounds amazing!! I love adding a dash of cardamom to my morning oats, so I can imagine it would taste just delicious in a smoothie 🙂 Oh and I do the same thing – make some lovely breakfast for the kids and never feed myself! I love oats in my smoothies. They give a great texture and such good added protein. Looks delicious! 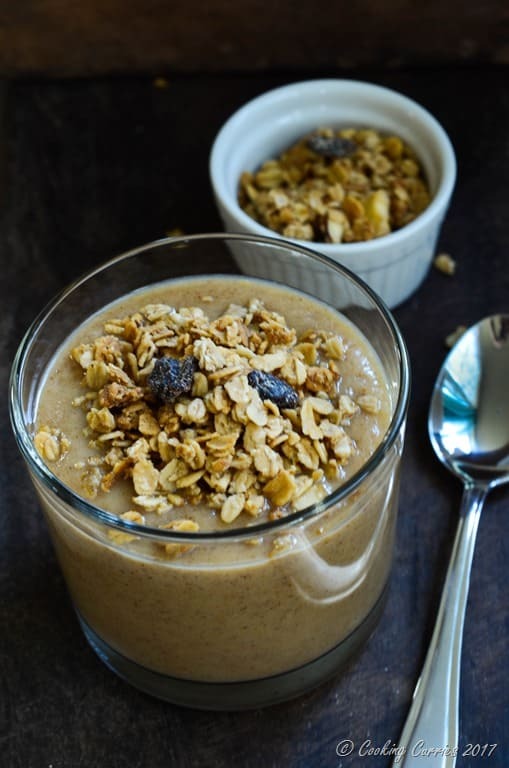 Oatmeal and dates are two of my fav combinations! This sounds like the perfect breakfast smoothie! Thank you Uma! I’m sure you will love it!